It’s a country that increasingly knows almost nothing about Jesus Christ or the Bible. So the Billy Graham Evangelistic Association of Canada (BGEAC) is inviting Canadians who are interested in evangelism to learn new techniques and deepen their passion for sharing the Gospel at a national conference. The Canadian Evangelism Congress is taking place Sept. 26-27 at the Hilton Niagara Falls Hotel & Suites in Niagara Falls, ON. It’s intended for pastors, church leaders and anyone else who wants to see Canadians impacted by the Gospel in much greater numbers. “There’s a huge spiritual hunger in Canada, but Canadians aren’t turning to the church like they once did,” said David Macfarlane, BGEAC’s Director of National Initiatives. “So we need to re-evangelize our nation; we want Canadians to find the hope we’ve found in Christ.” Macfarlane, who speaks at churches and Christian events across Canada, says traditional outreach methods no longer work as well as they once did in a society that is so secular and multicultural—and where many believers have lost their passion to reach their neighbours for Christ. 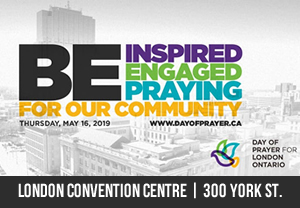 The Canadian Evangelism Congress is designed to present new and innovative ways to connect churches and Christians to their communities. It’s also designed to bring together Christians of like minds to encourage each other and share their own outreach methods. Will Graham, Franklin Graham’s son and a vice president with the Billy Graham Evangelistic Association. Will has preached in more than 30 Canadian cities, and will lead two BGEAC Celebration of Hope outreach events in Newfoundland and Labrador in November. Claude Houde, pastor of Église Nouvelle Vie near Montreal which feeds more than 8,000 people a month while telling them about the Good News of Christ. More than 3,000 people regularly attend services there, making it the largest evangelical French congregation in North America. Mark Hughes, founder and lead pastor of Church of the Rock. Since its beginnings in 1987, this Winnipeg church has grown, mostly through creative evangelism, to more than 2,500 regular attendees at three campuses. Dr. Sam Owusu, founder and senior pastor of Calvary Worship Centre, a strongly evangelistic and multicultural church (people from more than 80 countries attend) with a campus in Victoria, BC, and three more in the Greater Vancouver area. Owusu is on the leadership team for the 2017 Greater Vancouver Festival of Hope with Franklin Graham. There will be other speakers leading break-out sessions on a wide variety of evangelism-related topics. Among the congress’s participating organizations are the Evangelical Fellowship of Canada, ALPHA, Red Frogs and I Am Second. “At the Congress, you’ll receive inspiration, ideas, and resources that will help any person who wants to present the Gospel to do so with creativity, relevance, and confidence,” said Macfarlane. He encourages Christians to attend the conference, to ask their pastors and other church leaders to attend, and to make a donation to help pay for the congress and enable Christ followers to be as effective as possible in sharing the Gospel. Registration for the two-day Canadian Evangelism Congress is $149 up to June 30. After that, it’s $199. Fee includes breakfast and lunch on both days, snacks and refreshments, and resource materials. For more information, please visit BillyGraham.ca/congress or call 1.800.293.3717.